Today’s critical communications users are looking for broadband services, new applications and smart devices to improve the efficiency of operations and the safety of citizens. Broadband solutions will be based on standardized 4G/5G technologies and the communications services will be based either on dedicated mobile broadband networks or by commercial networks operated by mobile network operators (MNOs). Because critical users need their communications to be reliable at all times, there is a need to manage the quality of network services. This is to ensure that first responders really do get the communications services when they need them. This poses a new challenge for the critical communications service operator responsible for delivering services at the agreed service level. Who controls the service quality in a hybrid network? In today’s critical communications networks, the service operator controls both the core network and the radio access network, or RAN. The operator can therefore monitor the network elements and keep them functioning properly – and thus control the service quality end-to-end. The operator can also launch corrective actions immediately as they are needed. 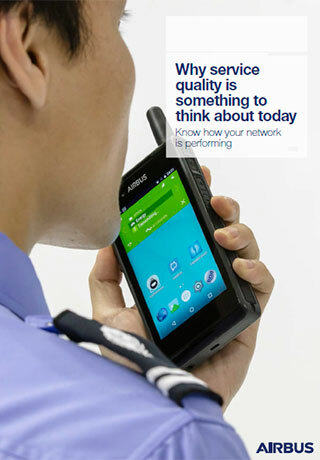 When a hybrid network is used, the narrowband network (for example TETRA or Tetrapol) is complemented by a dedicated broadband network and/or by commercial 4G/5G networks, changing the situation. If radio access services are provided by an MNO, the critical communications service operator no longer controls and manages the whole network - the MNO is responsible for the RAN. Yet, users can get reliable, first-class services only if the network works flawlessly from end-to-end. The RAN is the key element in providing reliable, highly available services to the users. Besides it has a central role in network coverage, it impacts greatly on the service availability and capacity. How to control the service quality in a hybrid network which uses the services of a commercial MNO? The operator controlling the whole network can create a view of the end-to-end service by combining the measurement information from different network elements. In a hybrid environment, however, the service operator cannot necessarily collect information from all network elements if parts of the network are controlled by an MNO. The answer is device originated service analytics, which entails installing a client in the mobile user devices. The client follows the levels of service that the device (and thus the user) experiences and sends reports to the critical communications service operator periodically. The reports are consolidated and the network status is visualized to the user. Device originated analytics of service quality also requires a solution that will consolidate the information from the mobile device reports and illustrates the service operator the network service level. analyses and presents the results in graphical form. This ensures the hybrid network’s service quality is always easy to understand and interpret. What’s more, Viewcor can visualise the overall status of the hybrid solution, showing the status of the various networks on the same map. It can just as easily show them separately. Viewcor provides a clear understanding of what is happening in the hybrid network and what may be affecting the quality of service. With Viewcor, the service operator can prepare for the future – for example, predict trouble spots. If you have questions about the service quality in a hybrid network or about Viewcor®, please do not hesitate to contact us with your inquiry.